Smart homes: The future of energy efficient living? Home › Energy Efficiency › Smart homes: The future of energy efficient living? 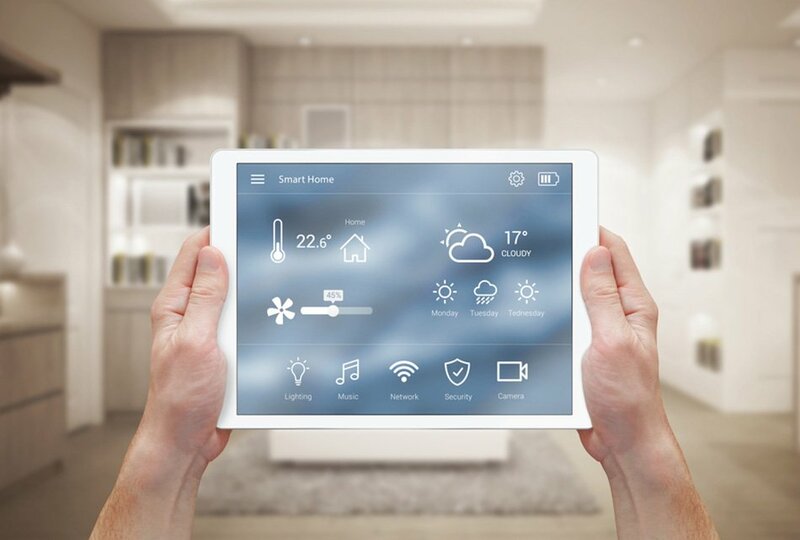 As Wi-Fi capabilities increase and technology advances, products that make your home “smart” are rapidly gaining popularity. From accurately tracking your energy bills to remotely switching off the lights, smart home technology is available for almost every part of your home. There are lots of exciting gadgets and products in that video – but what exactly do they all do? Are they just there for the “wow” factor, or will they actually save a homeowner money in the long-term and make their lives easier? How do smart homes help to reduce carbon footprints by helping a family to live a more energy efficient lifestyle? We answer all your questions below! A smart meter is a new kind of gas and electricity meter that digitally sends readings to your energy supplier. This means you no longer have to manually read the gas or electric meters – it’s all done for you. Smart meters come with monitors so that you can check your energy consumption at any point in time to see how much you have used and the cost. The monitored data allows you to see what time of day you use the most energy. This can help you to identify times that you could make more energy efficient. Smart heating allows you to control your home’s thermostat from an app on your phone or tablet. You can set the temperature even if you aren’t at home – so on those cold winter days you can turn you heating on before you get home so that it’s toasty and warm when you get in! It also means that if you are out and you realize you’ve forgotten to turn off the heating, you can do it there and then – saving you money and avoiding coming home to a house that’s too warm. Whilst smart heating won’t directly save you money, it can help you to save on your heating costs in the long-term if you make use of the data it provides. Most systems will give you information about the usual times you put the heating on and when you spend the most on your energy usage. This allows you to identify problem areas and change your behavior to reduce your heating costs. Smart lighting functionality varies between manufactures but the aim of them is to turn your home into an interconnected system of lights. Some smart lighting turns your lights into motion detectors so they turn on when they sense movement and automatically turn off again if the room has been still for a certain amount of time. This can be beneficial to your energy bills as it means you won’t be wasting money lighting empty rooms. You can monitor the status of each light in the home using an app on your phone. As with smart heating, this allows you to remotely switch off the lights if you accidentally left them on before leaving the house. Smart lighting can tie in to other elements of your daily life too. For example, you could link up your bedroom light to your phone alarm so that when it goes off in the morning, the lights come on. What a great way to get you out of bed in the morning rather than turning over and ignoring the alarm! Smart home monitoring gives you peace of mind that your home is protected, even when you’re out and about. Networked systems can secure your home and interconnected CCTV cameras and sensors capture anything out of the ordinary and send alerts to your phone. This is perhaps not the option for you if you’re looking to reduce your energy consumption as it offers no way for you to save on that – indeed, it’s another set of electronic devices to have to pay to power – but if security is a priority for you then it may be worth the slight increase in energy bills. Home monitoring systems can be linked to your fire alarms and carbon monoxide meters and set to automatically test the batteries and notify your mobile devices if the alarms sound. Smart home appliances are perhaps more of a luxury than a necessity, but there’s no denying the usefulness of them. Some appliances can help you live a greener lifestyle by reducing your energy or food wastage. Smart refrigerators have cameras on the inside to show you what’s inside, along with the expiration dates of products. These cameras can be accessed from your phone, so you can check them whilst doing the grocery shopping. This helps to reduce your food waste as you’ll avoid buying products that you already own. Smart washers and dryers allow you to start or pause washing remotely from your mobile device. They can also send you a notification when a cycle has been completed. That means no more wet clothes hanging around for hours in the washer because you’ve forgotten about them. Smart ovens allow you to switch the to the required heat from your phone and they send you a notification when the oven’s hot. They send notifications to your phone when the food is ready and can even clean themselves. Smart coffee machines integrate with Bluetooth to let you brew a coffee by selecting your preferred blend on your phone or tablet. Yup – you can have a hot mug of coffee waiting for you in the kitchen when you get out of bed in the morning – bliss! Do you have any smart products in your home? Have they helped to make your life that little bit easier? Do they save you money on any of your bills? Let us know in the comments below.